The Rotary Foundation is the source of funding for our District and Global Grant Projects, providing clubs with funding for their local projects and in recent times providing Global Grants to bring clean potable water to rural communities in Kenya. All of this is only possible because we as Rotarians recognise the need to ensure that The Rotary Foundation has the resources required to fund these important activities. The best way of funding of The Rotary Foundation is to become a Sustaining Member by signing up to make a personal donation. This can be done by simply signing and returning one or other of the standing order forms. In the case of Northern Ireland Rotarians, the form provides for Gift Aid, so a taxpayer can achieve the desired $100 by making a donation of £64 per annum (plus £16 Gift Aid). This would equate to c. £5.50 monthly or £16 quarterly. That’s less than 20 p a day! Gift Aid does not apply in the Republic of Ireland, so the annual donation needs to be €90 - €7.50 monthly or €22.50 quarterly. That’s less than 25 c a day! In this the 100th year of the Rotary Foundation District Governor Garth's target is to have 100% of Irish Rotarians being a Sustaining Member. 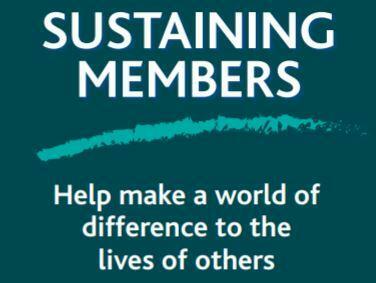 I encourage you to join the growing number of Sustaining Members and help DG Garth achieve his target. Club Foundation chairs can view Foundation Contributions and recognition reports through member access at www.rotary.org The club President or Secretary can also access this data.